Men, Women, and God(s) is a pioneering study of the Arab world's leading feminist and most controversial woman writer, Nawal El Saadawi. Author of plays, memoirs, and such novels as Woman at Point Zero and The Innocence of the Devil, El Saadawi has become well known in the West as well as in the Arab community for her unforgettable female heroes and explosive narratives, which boldly address sexual violence, female circumcision, theology, and other politically charged themes. Her outspoken feminism and critique of patriarchy have also earned her the wrath of repressive forces in the Middle East. Imprisoned in her native Egypt under Sadat, El Saadawi is now among those on the death lists of Islamic religious conservatives. 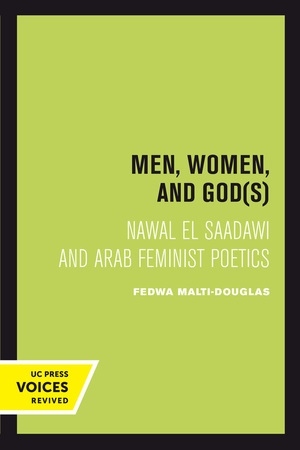 In Men, Women, and God(s) Fedwa Malti-Douglas makes the work of this important but little-understood writer truly accessible. Contending that El Saadawi's texts cannot be read in isolation from their Islamic and Arabic heritage, Malti-Douglas draws upon a deep knowledge of classical and modern Arabic textual traditions—and on extensive conversations with Nawal El Saadawi—to place the writer within her cultural and historical context. 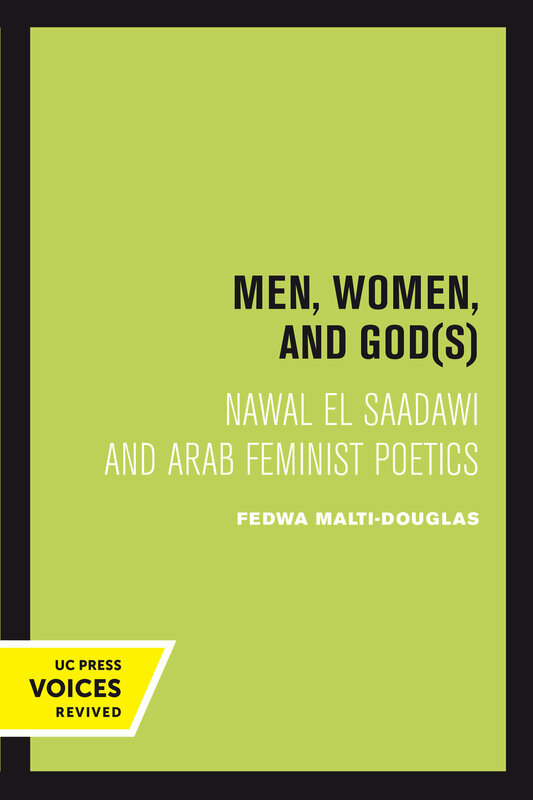 With this impassioned and radical exegesis of El Saadawi's prolific output, Malti-Douglas has written a crucial study of one of the most controversial and influential writers of our time. This title is part of UC Press's Voices Revived program, which commemorates University of California Press’s mission to seek out and cultivate the brightest minds and give them voice, reach, and impact. Drawing on a backlist dating to 1893, Voices Revived makes high-quality, peer-reviewed scholarship accessible once again using print-on-demand technology. This title was originally published in 1995. Fedwa Malti-Douglas is the Martha C. Kraft Professor of Humanities in the College of Arts and Sciences at Indiana University, Bloomington. Among her previous publications are Woman's Body, Woman's Word: Gender and Discourse in Arabo-Islamic Writing and a novel, Hisland: Adventures in Ac-Ac-Ademe. Her most recent book is The Starr Report Disrobed.